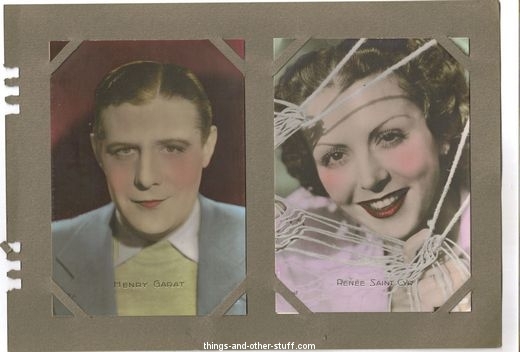 Special thanks to Amit Benyovits who has contributed all images and information from his collection (Email Amit). 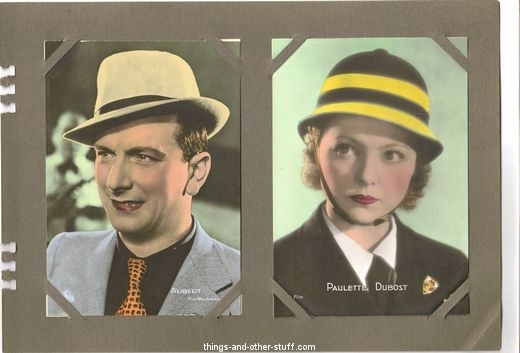 Issued by Massilia confectionary in France. 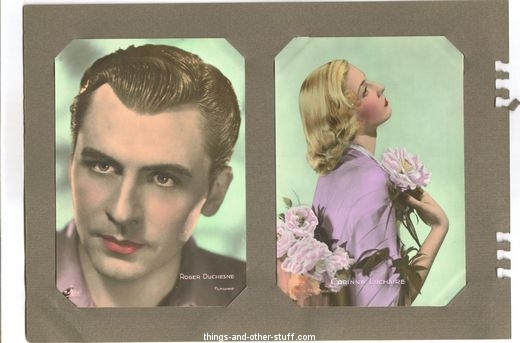 84 known cards. 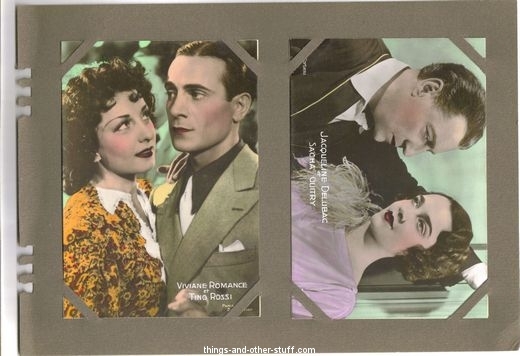 Oversized at 4" X 5-3/4". 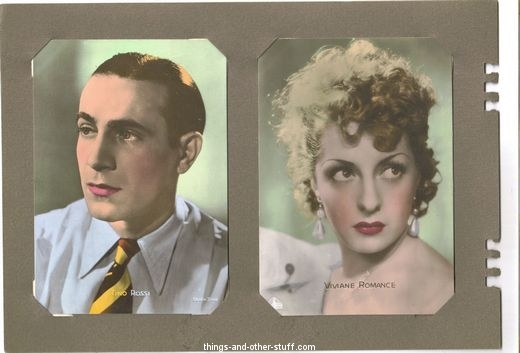 High quality card stock. 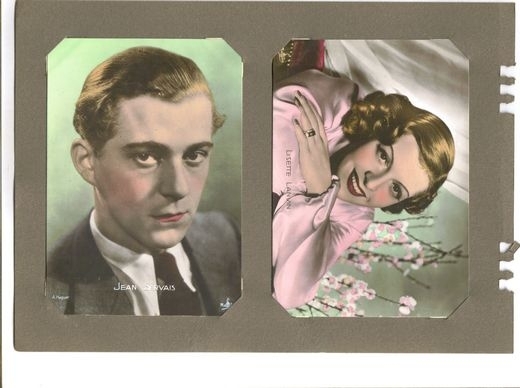 Vibrant color-toned images on front with plain white backs. 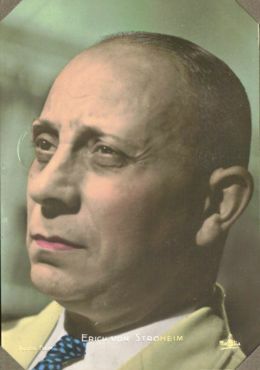 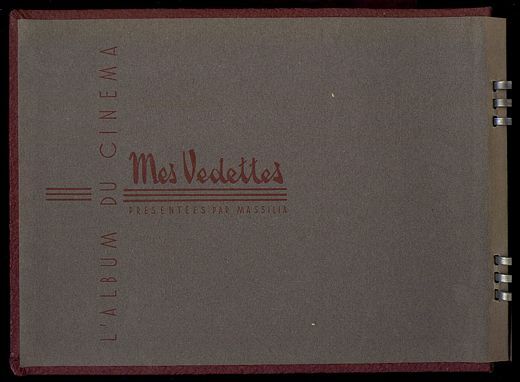 A small Massilia logo is on each card (near bottom right corner on the Von Stroheim) and also appears on the title page of the album holding these large cards. 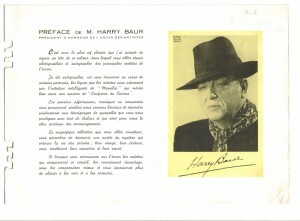 Also inside the album is an introduction by tragic French screen star Harry Baur, listed as President of Honor of the L'Union des Artistes. 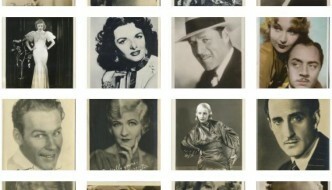 The bulk of the set is comprised of Europeans, however several major Hollywood movie stars are included as well. 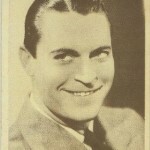 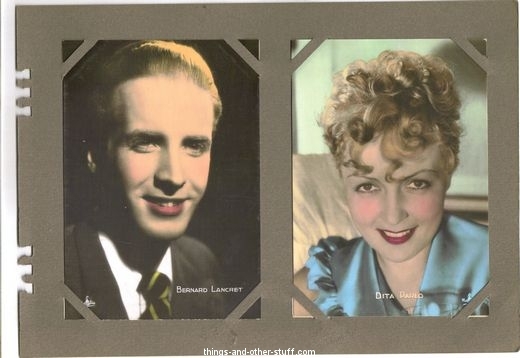 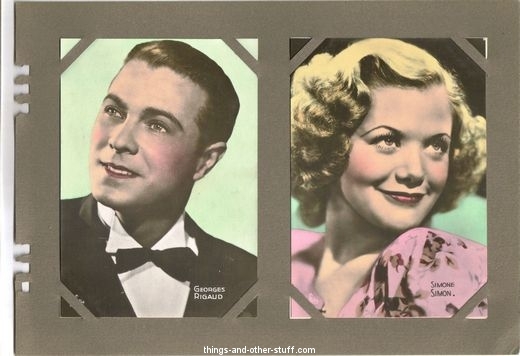 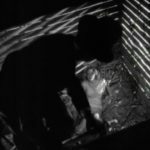 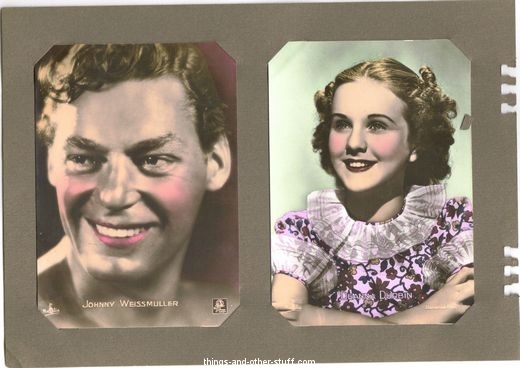 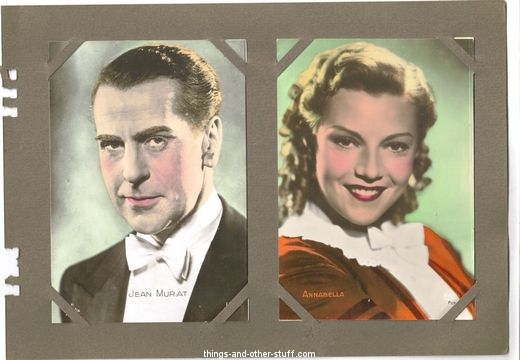 Date to the set would appear to be approximately 1937-1938 due to inclusion of child stars such as Shirley Temple and Deanna Durbin as well as the pairs shown on the four cards showing multiple film stars. 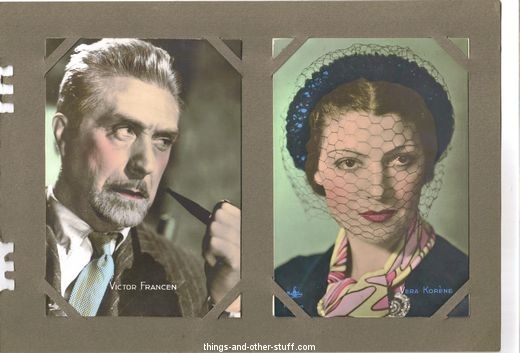 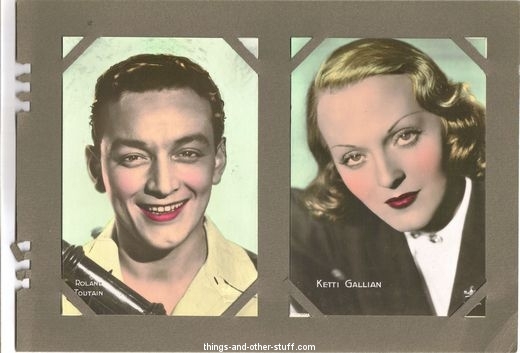 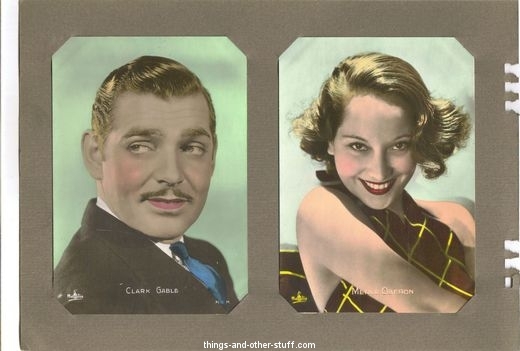 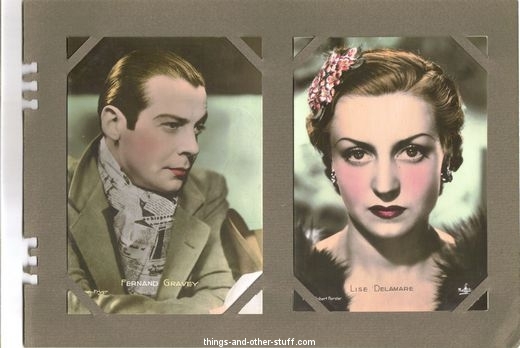 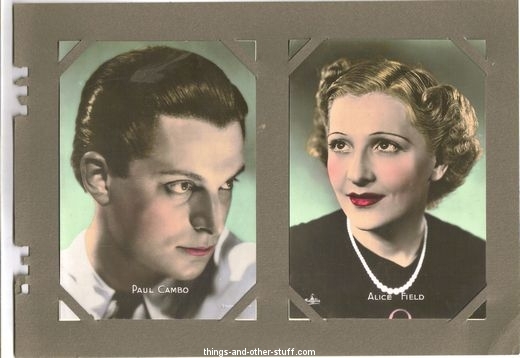 Of these pairs Yvette Lebon and Tino Rossi only appeared in one film together, released 1936; Viviane Romance and Tino Rossi appeared in 2, released in 1937 and much later (1972). 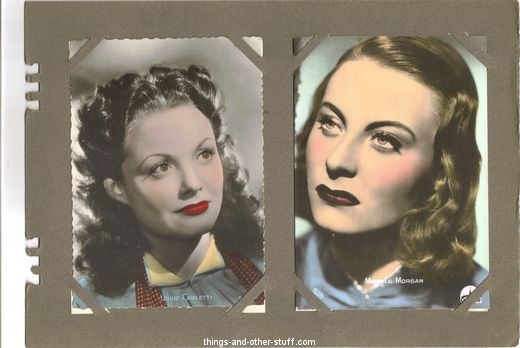 Also included are the pair of Jacqueline Delubac and Sacha Guity who appeared in a whopping 11 films together: 1 in 1935, the other 10 all between 1936-1938. 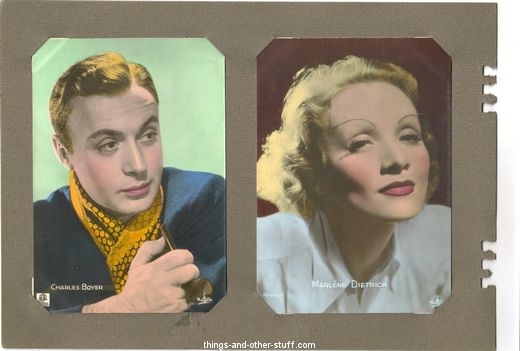 The only other reference I could find to these online was about halfway down this French language page which confirms Massilia as a confectioner though speculates that the actual candy manufacturer may be Loriot (that's what Google Translate spit out for me at any rate!). 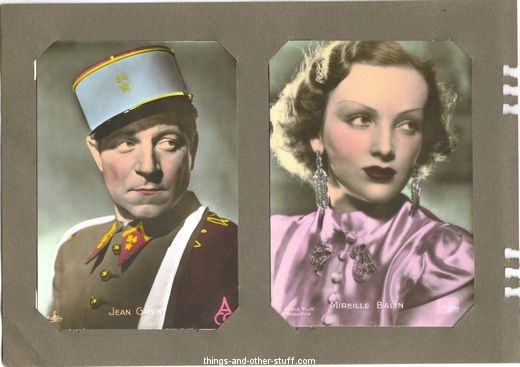 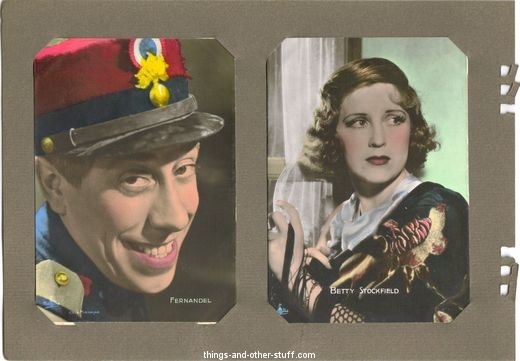 More details about these Massilia Collector Cards can be found courtesy of our friends at the wonderful European Film Star Postcards site HERE. 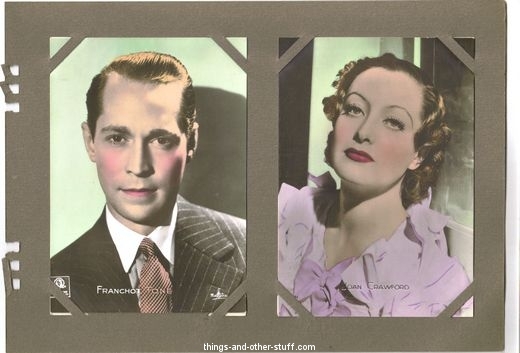 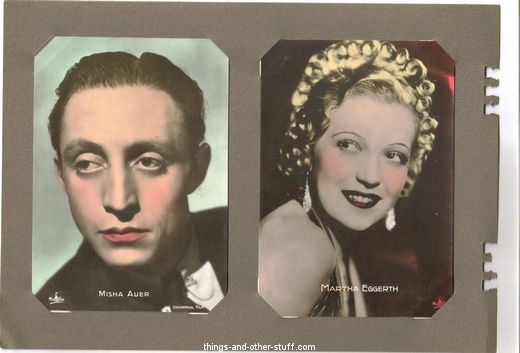 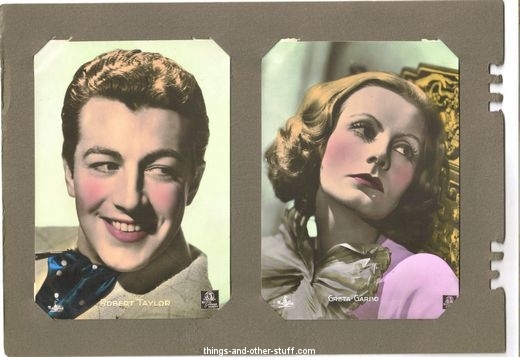 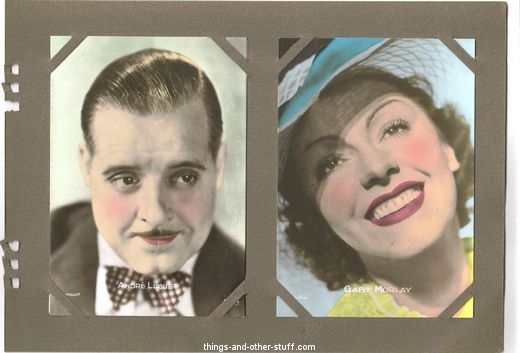 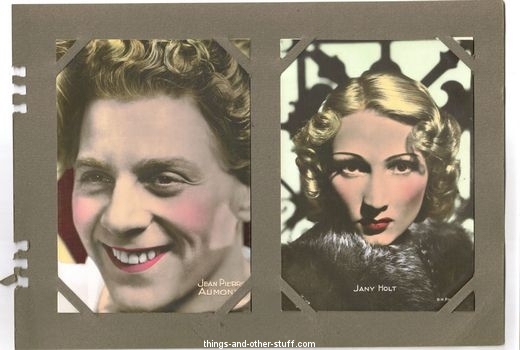 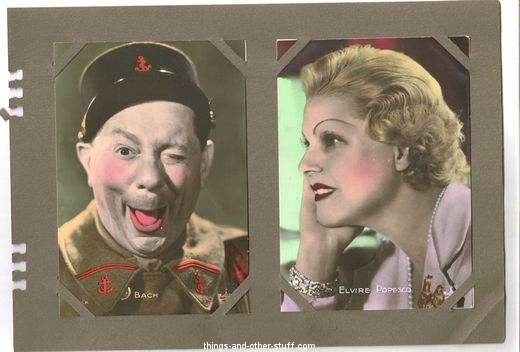 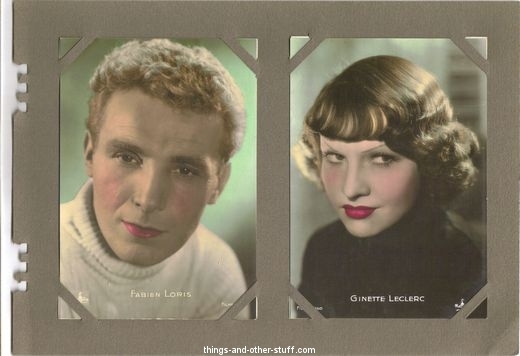 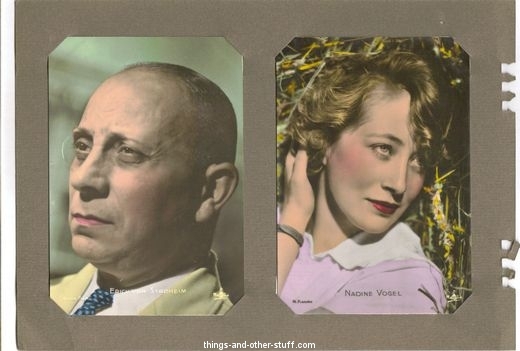 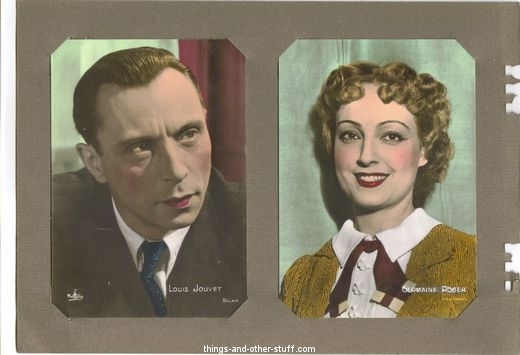 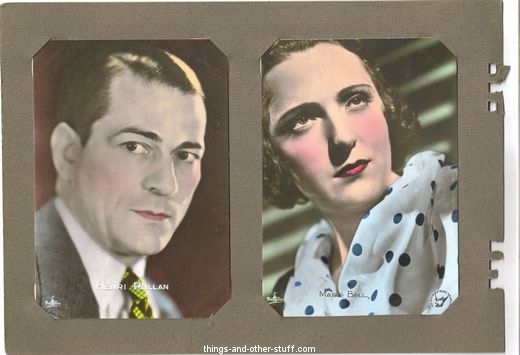 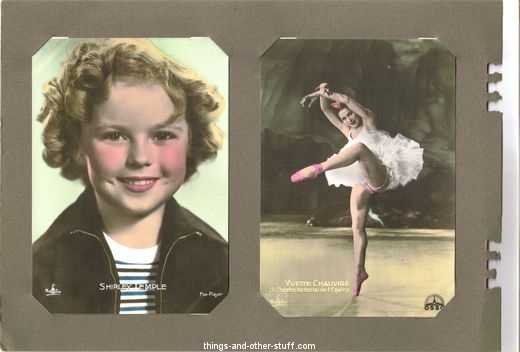 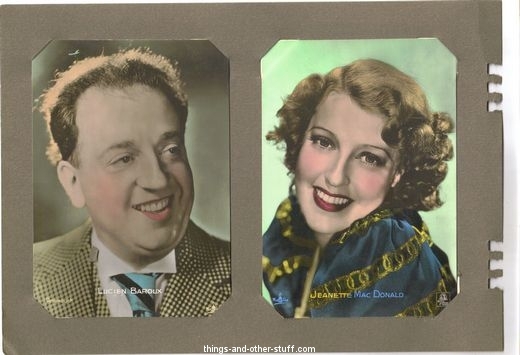 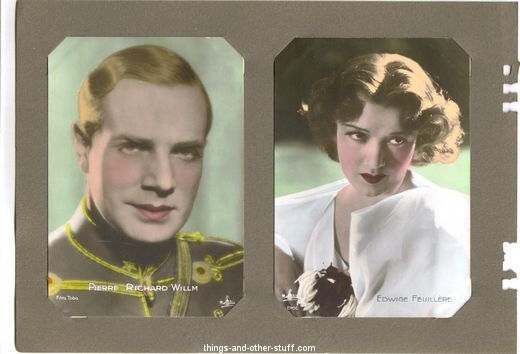 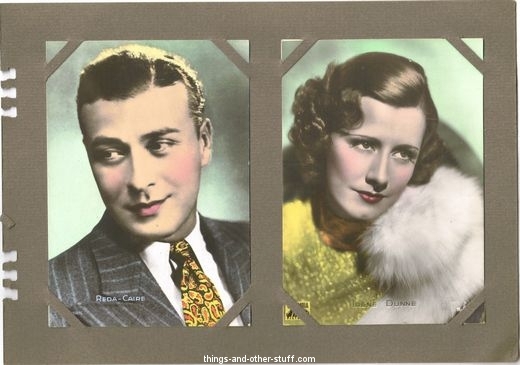 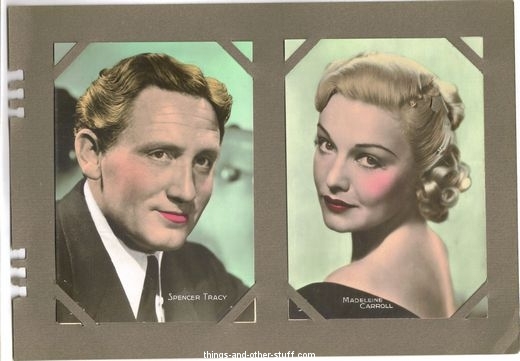 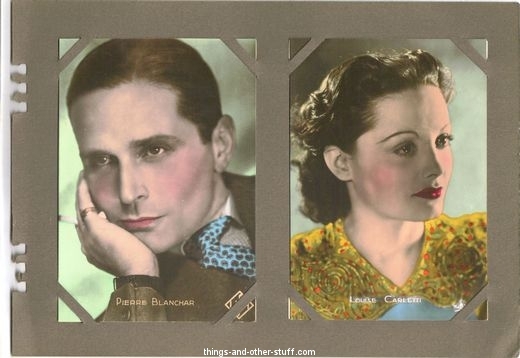 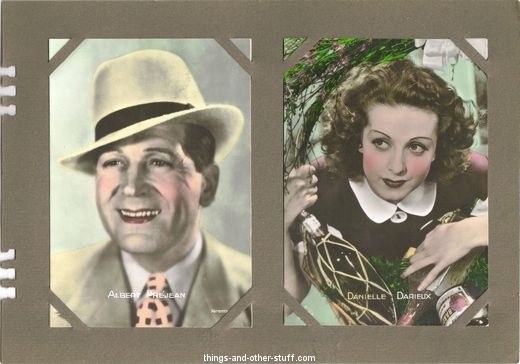 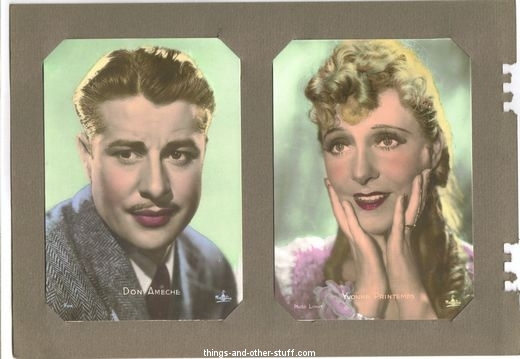 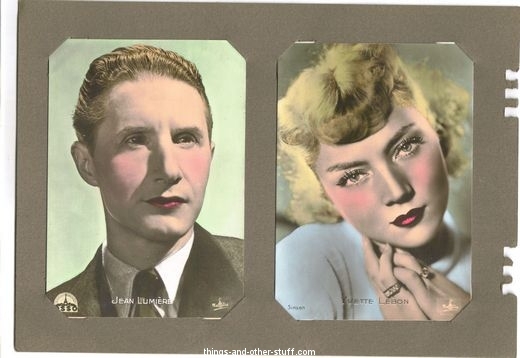 The following gallery includes images of all 84 Massilia Color Toned Film Star cards. 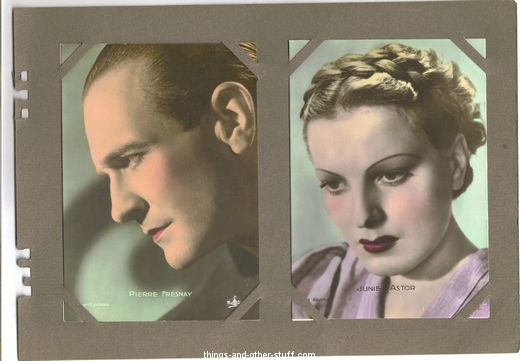 They are shown in pairs of two in their album pages. 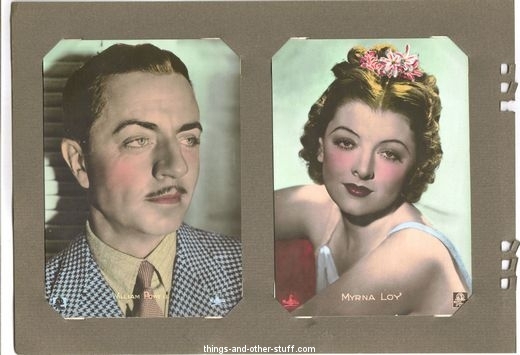 Text checklist follows below. 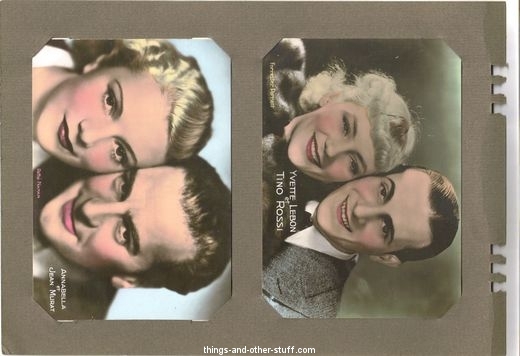 Just click on any image to open to full size and from there you can scroll through 25 images at a time. 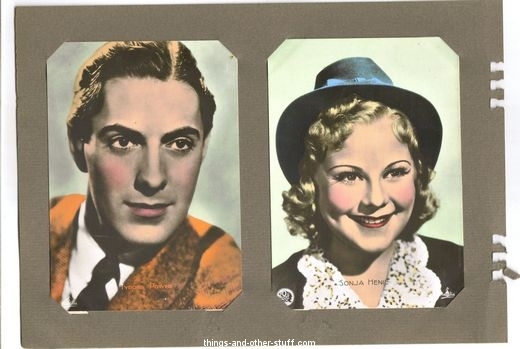 See the page numbering just below the gallery to move to the second page of 25 images, etc. 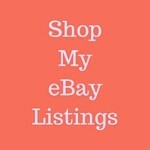 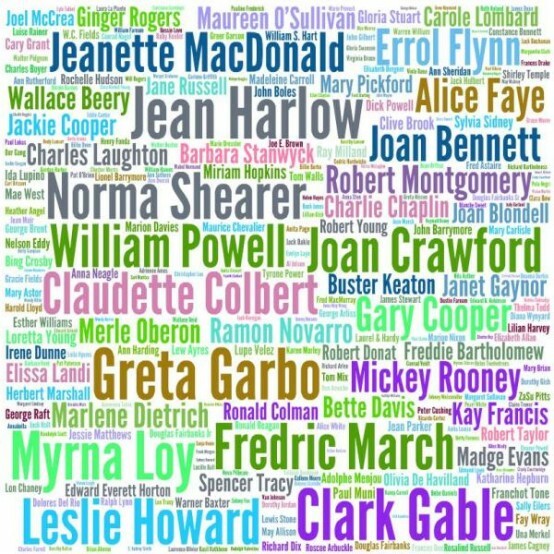 Alphabetical with pairs listed at the bottom of the list.